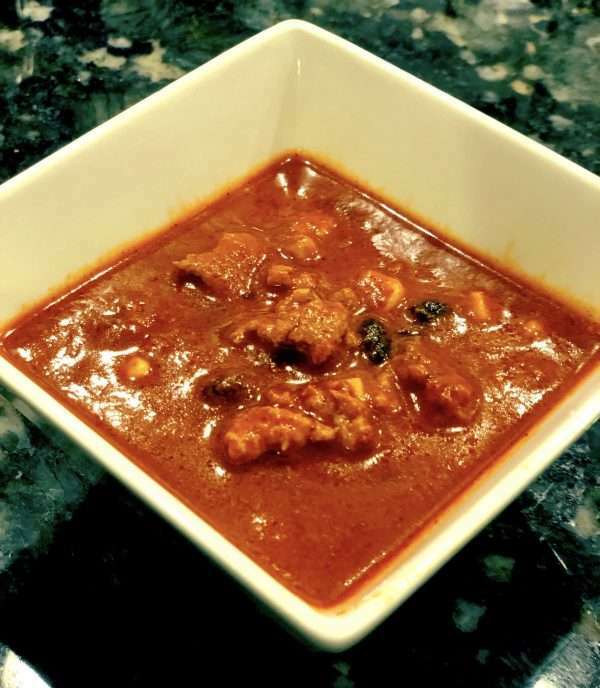 This slow cooker turkey chili recipe could not be any easier, or more delicious! It’s so quick and easy to make it almost feels like cheating – what’s the secret? Tomato soup as the base to save on time! Only minutes of prep for a tasty and comforting meal that is oh so satisfying and full of flavor. The quickest turkey chili to date - save on time without skimping on flavor! Heat ground turkey in a skillet with olive oil over medium heat and cook until brown. Combine turkey, tomato soup, onion, chili powder, red pepper flakes, garlic powder, ground cumin, salt and pepper in slow cooker. Cover and cook on high for 2 hours (after 1 hour, mix in black beans and corn).